I just read that he passed away. British politician Blair McDougall circulated in Twitter the photo at the bottom. 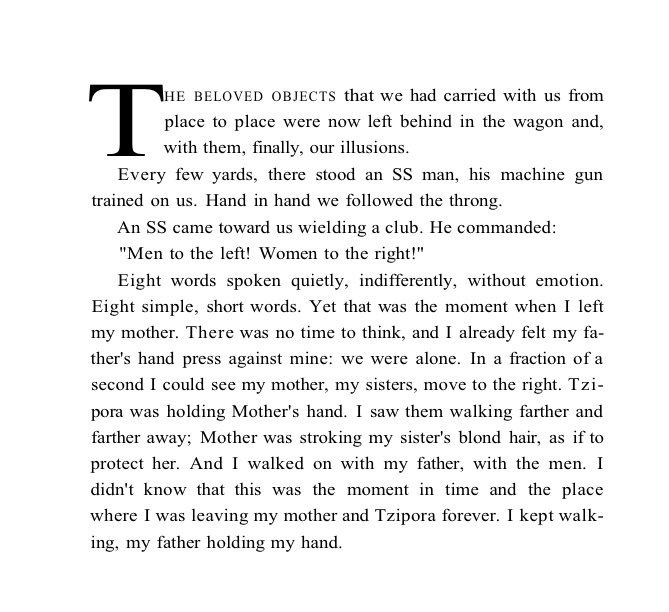 It is from Wiesel’s autobiography, Night, from when he arrived at Auschwitz. More words are challenging and aren’t necessary, I think.